Our support staff will be more than happy to provide excellent theme support to all customers who have purchased Premium WordPress Themes by MH Themes. You can find a lot of helpful information and several tutorials in our support center and in case you need additional assistance, our support staff will be more than happy to answer your questions within 24 hours, usually even within a few minutes! Theme support is only provided to verified customers who have purchased WordPress themes by MH Themes. We usually answer support requests during our business hours from Mon-Fri, 8am – 8pm CET/CEST. Before sending support requests, please always check the documentation for your theme and the tutorials in the support center as it’s very likely that this will already answer most of your questions. If you haven’t purchased WordPress themes by MH Themes yet, you can have a look at the themes overview in order to purchase your preferred WordPress theme and gain access to theme updates and support. In case you have any pre-sales questions, feel free to contact us. If you own a valid license for theme support and need assistance with your WordPress theme by MH Themes, you can log into your MH Themes account, click on the Support tab in your account and follow the instructions in order to send a support request to our support staff. Our professional and dedicated support staff with WordPress expertise will be more than happy to answer your support request within 24 hours, usually even within a few minutes (during business hours). We offer additional services to help you get your site up and running. If you wish, you can order our theme installation service and lean back while our support staff will install your WordPress theme and configure the theme to match the settings and layout of the particular theme demo. This is ideal for people who don’t want to care about the technical stuff and just want to focus on publishing awesome content. Have not purchased a WordPress theme yet? 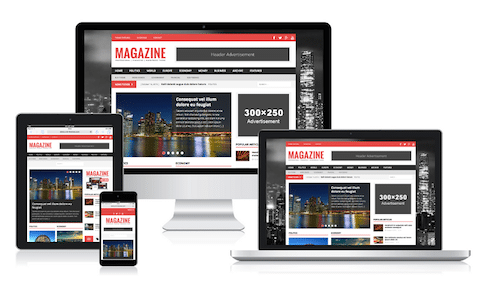 In case you need theme support, but have not purchased WordPress themes by MH Themes yet, please have a look at our themes overview where you can find some great premium WordPress themes to create awesome websites like modern online magazines, dynamic news websites, professional blogs or corporate and business websites. All premium WordPress themes by MH Themes come with excellent customer support in german and english language by our professional support team. In case you have any pre-sale questions or just want to leave some feedback, feel free to contact us at any time.